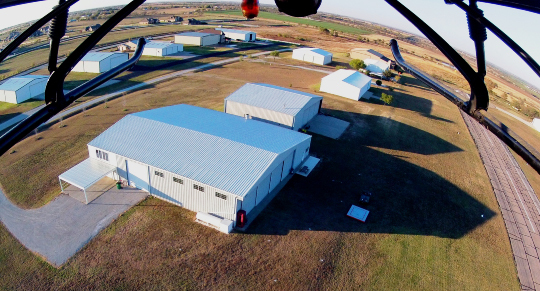 Fox Aviation is conveniently located 20 minutes North of Ft. Worth at Propwash Airport 16X in Justin, Texas. We originated in Florida in 1997 and expanded to our current 10,000 Sq. Ft. facility in 2007. Our customers include private parties, commercial operations, flight schools, and corporations. Our expertise is in fabric covered aircraft specializing in Cub Crafters, Top Cubs, Carbon Cubs and Sport Cubs. Piper J3, PA-18 and PA-12. In addition we have experience in Piper Aztec’s, Navajo’s, Chieftains, Cessna 150s, 152s 172s, 180s, 182s and 185s, Stearman, Aeronca Champs, Hughes Helicopters, and have worked on many other general aviation aircraft over the years. General Aviation Maintenance and Repairs. Cub Crafters Service Center and Warranty Repairs. Engineering support and Modification testing. Fabric recovering. Single parts to entire Aircraft. Partial or complete aircraft restoration services. We offer more services, to see our complete list of aircraft services click here. A&P Mechanics with 24+ Years aviation experience. Provide DAR and DER services as required. 2017 marks the 20th year at Fox Aviation International Inc. We look forward for serving you for many years to come. This year we are continuing to concentrate on and grow the flight school side of the business which is where we started 20 years ago but has evolved in different stages throughout the years. We keep you informed every step of the way. Restoring your aircraft is no small task, and you must feel 100% confident in the process. © 2013 Fox Aviation International, Inc. . All rights reserved.